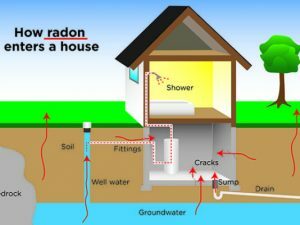 Radon is a naturally occurring gas. It cannot be seen or smelled. It enters the structure from the soil underneath it. Testing for radon is the only way to know if your house has high levels of radon gas. Protect your family and get your house tested. Call Inspection Pro Services at 801-915-9797 to schedule your test. View a list of radon test results by county and zip code in Utah for 2015. In Utah about 1 in 3 homes have dangerous radon levels. The EPA estimates there are about 14,000 to 30,000 deaths every year attributed to lung cancer caused by radon inhalation. Radon is ranked as a Group A carcinogen, along with tobacco smoke and tobacco products. This is the highest ranking for cancer potential.